Creek Hockey Celebrates Record Breaking Season at EOY Banquet! 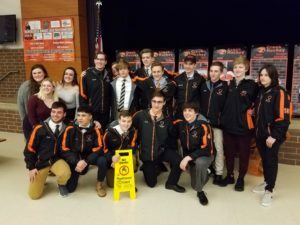 Beavercreek Varsity Hockey had their end of the year banquet Monday evening to celebrate a season many of us will probably never forget. A special thanks to City Barbeque and Ritter’s Ice Cream for donating food and dessert for the banquet! 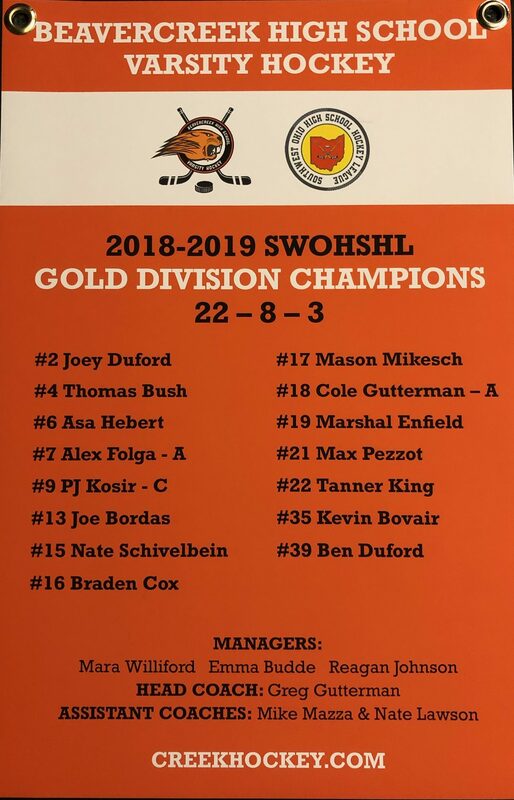 The Beavers ended with a 22-8-3 record, which included a 12-2 record in league play that resulted in them winning the SWOHSHL Gold Division for only the third time in team history. 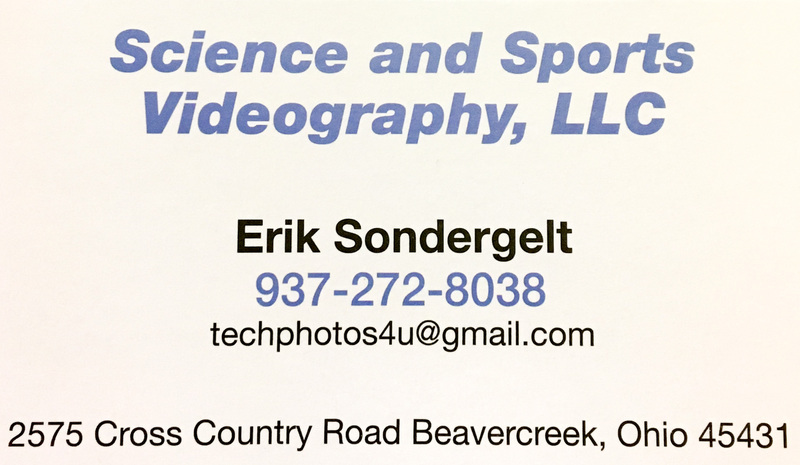 The team set 8 Creek Hockey team records and the players set 14 individual records!! Here is a complete summary of their record setting season. All good things must come to an end. 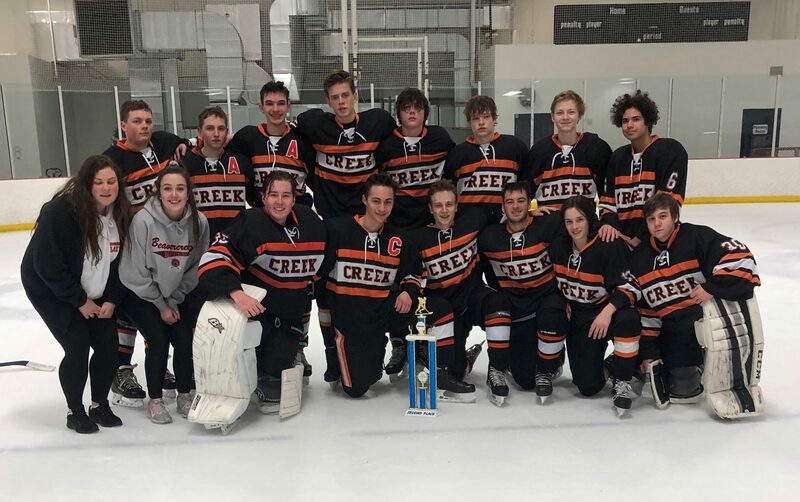 Ever since Beavercreek Varsity Hockey team’s schedule came out this past October, Creek Hockey fans knew that the last game of the season would be on March 3rd, which would be the final game of Academy Hockey Club’s inaugural Post Ohio Districts (POD) Tournament. However, it still came way too fast. On Sunday seniors Kevin Bovair, Joey Duford, PJ Kosir, and Max Pezzot donned their Beavercreek Varsity Hockey sweaters one last time, as the Beavers faced off against the Alter Knights for the POD Tournament championship. The two teams played each other the day prior and skated to a 1-1 draw. The Knights’ stingy defense and even stingier goal tending had only allowed one goal during round robin play, so the Beavers knew that this would not be an easy task. The Knights got on the board early in the first and then tallied another goal late in the period, and even though Creek out shot the Knights 19-10 they found themselves in a 2-0 deficit after the first period. The two teams were not able to get one past either goal tender in the second, so the game remained 2-0 Knights going into the second period intermission. The Beavers finally broke through midway through the third period when Cole Gutterman pounced on a rebound off a Mason Mikesch shot, breathing life back into the team. Creek continued to press with more confidence and with a sense of urgency, however, they were not able to get another shot pass the Knights’ net minder. Alter got another goal later in the third, and the Beavers lost 3-1. Kevin Bovair stood tall again between the pipes for the Beavers, turning away 32 shots on the evening. Although a few tears were shed afterwords, both by the players and the fans, the boys were able to hold their heads high. They gave it their all, and sometimes you just have to tip your cap to the other team’s goal tender. The Beavers have had a banner year (literally) and end the season with a spectacular 22-8-3 record, including being 12-2 in league play on their way to becoming SWOHSHL Gold Division Champions. 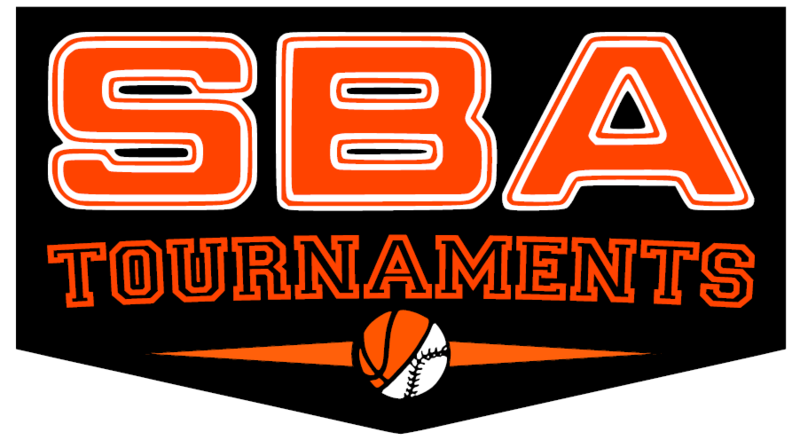 To add to their 2nd place finish in the POD Tournament, they were Mayor’s Cup Champions, had 2nd place finishes in both Frozen Creek and in Miami Valley Freeze, as well as a 3rd place finish in the upper division of the Ehrnfelt Tournament. They broke BHS Hockey team records for fewest losses (8), most league wins (12), most goals scored (163), fewest goals allowed (63), highest average goals per game (4.93), lowest average goals against per game (1.91), fewest penalty minutes (135), and the highest plus/minus (519)! Next up is the end of the year banquet on Monday where the team will celebrate these amazing accomplishments! !